Body-hugging dress made of a stretchy material for maximum comfort. 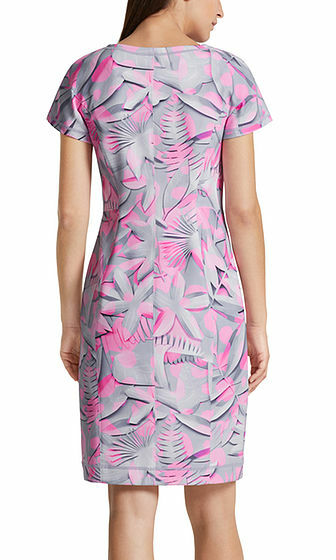 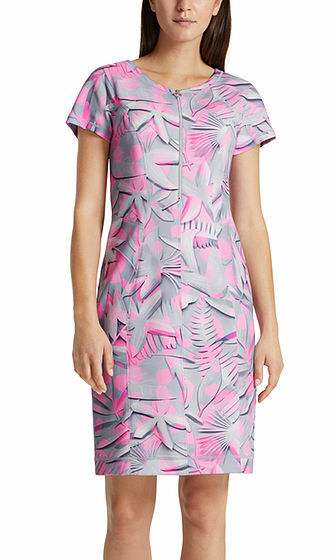 The dress is decorated with an exquisite 3-D floral print that will attract many admiring glances. The look is finished off with short cap sleeves and a zip.